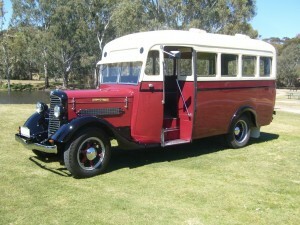 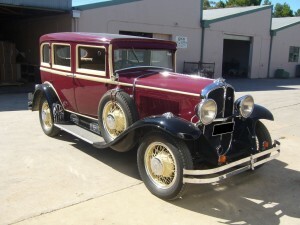 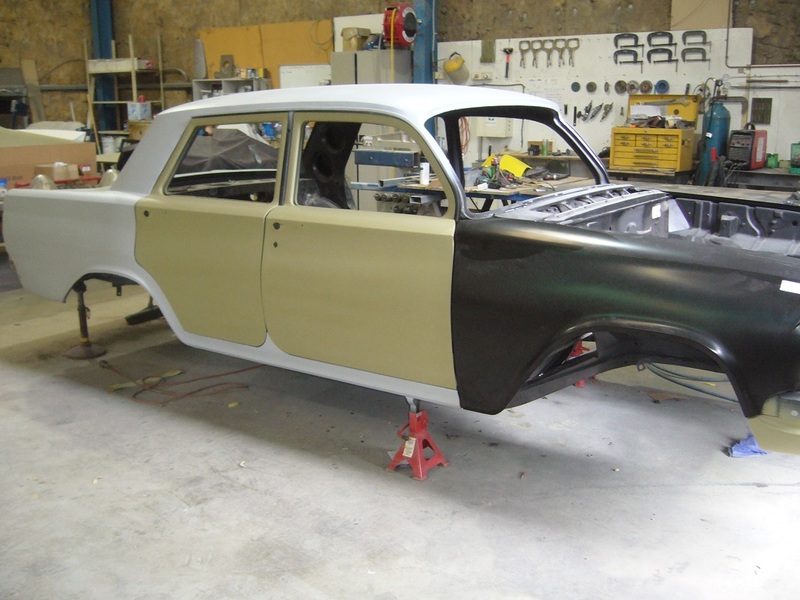 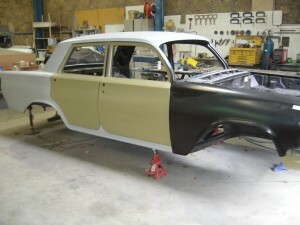 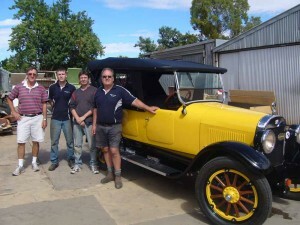 Holden EH sedan as delivered to Goode Restorations. 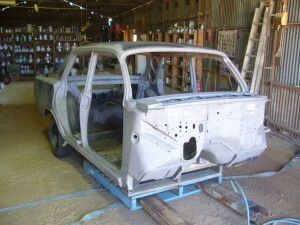 Body shell after the front suspension and Y-frames had been removed. 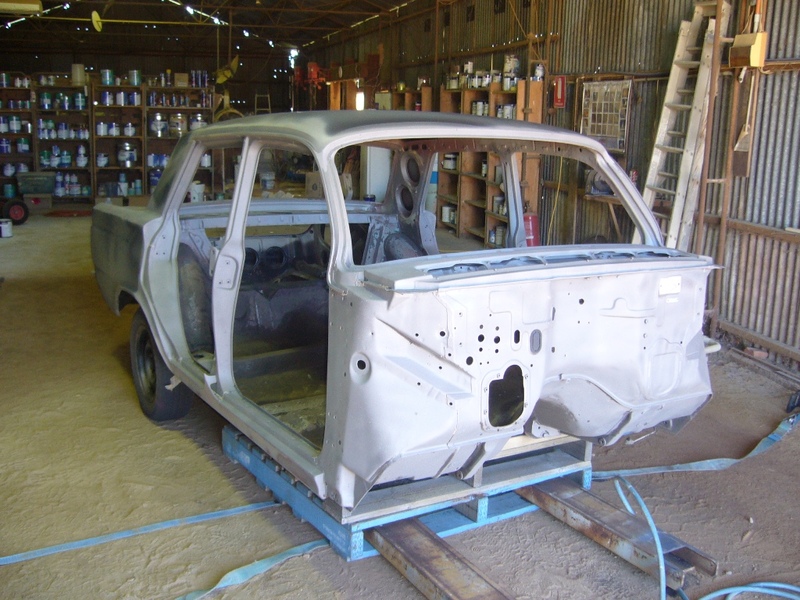 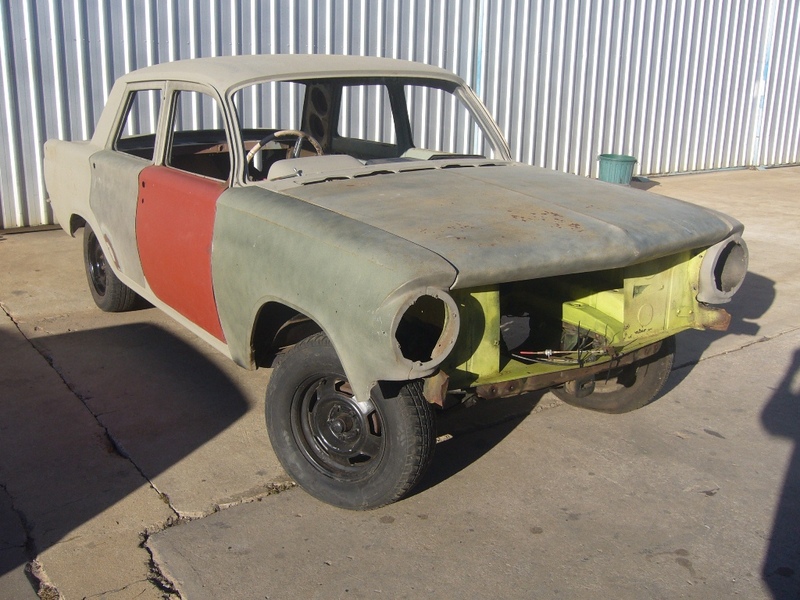 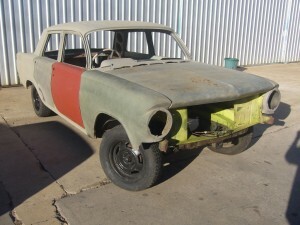 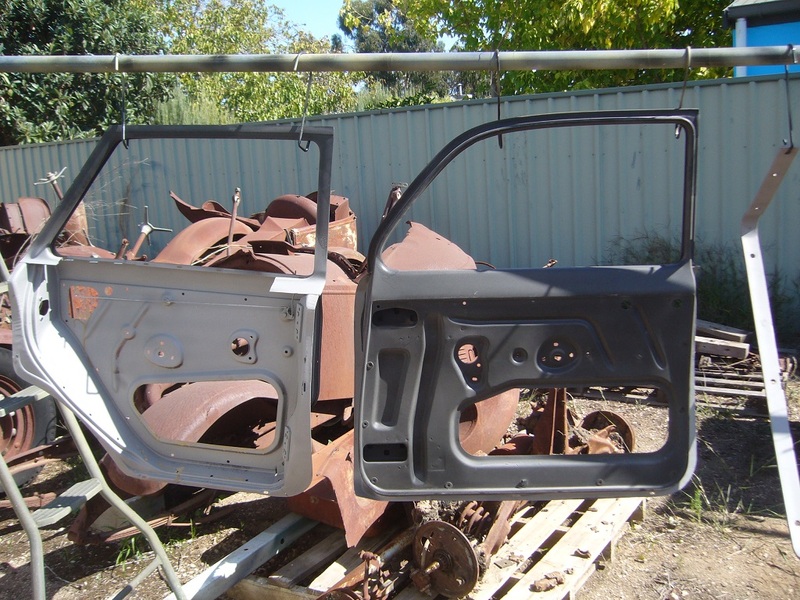 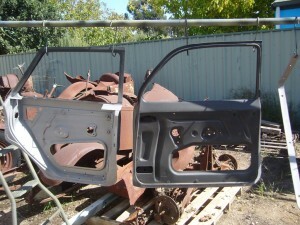 The firewall and door jams have been sandblasted, the roof and rear guards had been paint stripped to avoid damage.